Sandwiched between a series of crucial Brexit votes, much of the Chancellor’s Spring Statement 2019 consisted of appeals to parliament to deliver an orderly exit from the EU. There weren’t any major tax announcements, although Mr Hammond was able to launch a number of consultations and other papers. The subjects ranged from Making Tax Digital to Child Trust Funds and enterprise investment scheme funds. 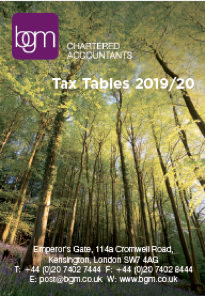 Bright Grahame Murray’s summary also includes a useful recap of the key changes for the forthcoming 2019/20 tax year that have already been announced and passed into law. 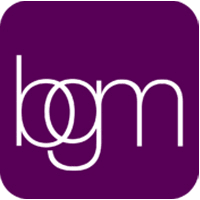 April will see the usual changes to the income tax rates and allowances as well as national insurance contributions. This year, there will be another significant hike in the minimum auto-enrolment contributions for workplace pensions, further increases in the tax on company cars and another £25,000 added to the inheritance tax residence nil rate band, taking it to £150,000. 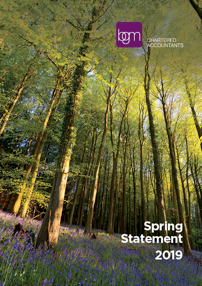 Click on the pictures below to open Bright Grahame Murray’s summary of the key contents of the 2019 Spring Statement and their tax tables for 2019/20.